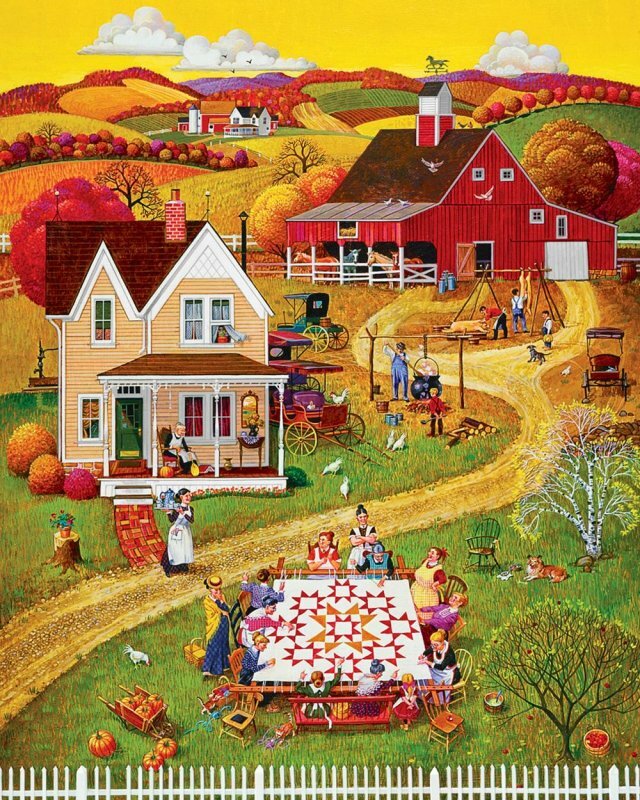 This puzzle provides challenge in two ways: through color as well as the shape of repeated patterns found throughout this pastoral scene. The long, graceful curves of hills and winding farm road complement the sharply edged squares and triangles found in peaked roofs, rectangular windows, or even the sharp points of this star quilt pattern. Touches of bright white, barn red, and soft mossy greens carefully blend the challenge of shape and pattern with color.